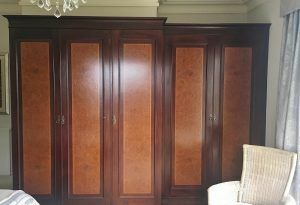 Lee Simone is Traditional Painter for Yorkshire and explains a project painting fitted wardrobes. 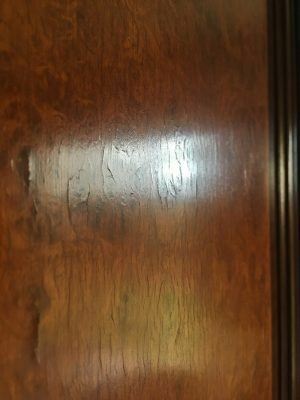 A degree of joinery work was required too, to solve a problem with the central panels on the doors. 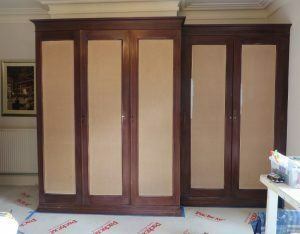 These fitted wardrobes were in the master bedroom. Although beautifully made they were also dark and completely dominated the room. 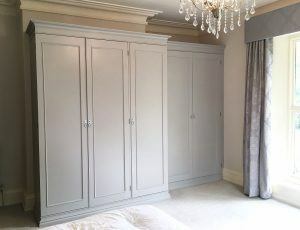 I have refurbished many old but well made kitchens, and painting seemed the perfect solution for these fitted wardrobes too. It is cost effective compared to replacing furniture, and careful choice of colour sidesteps expensive additional options such as a new carpet or painting walls. The chosen colour was Little Greene’s ‘French Grey Dark’, which Holmans Paints accurately tinted to the equivalent shade in Tikkurila’s Empire. Empire is a thixotropic oil-based paint which dries to a sheen of around 20%. This project was a little more involved than usual and I would need help from a joiner before starting the preparation and painting. 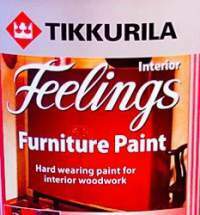 The main issue with painting fitted wardrobes was the condition of the central panels. They were a laminate and had cracked over time leaving hundreds of spider web cracks on every panel. To sand, glue, fill and paint these was not really a good option so I came up with the idea of cladding the panels first with 3mm MDF. Once attached, caulked and painted they would look as good as new :-). Before any painting work was done my joiner, Colin Foggin, cut and prepared sheets of 3mm MDF and glued them over the existing panels. He also planed some of the doors as they had dropped and were rubbing. I protected the carpet with Packexe, and thoroughly wrapped up the curtains. 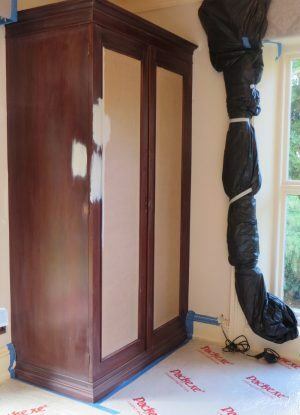 Once the joinery work was completed, I followed the same tried and tested process as for hand painting kitchens, namely thorough preparation, two coats of high adhesion primer and two specialist top coats (see other Blogs for more details). One additional aspect to the job was re-conditioning the handles. 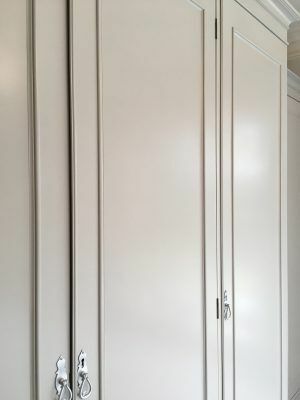 The new colour was a beautiful grey and the original brass cabinetry really didn’t work, so I suggested spraying the handles silver to compliment the detailing in the curtains. I first thoroughly cleaned each handle then lightly sanded them before spraying with silver metallic spray paint from Rustoleum. 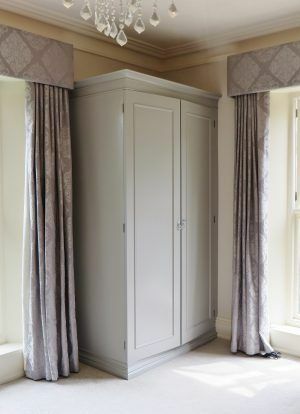 With contemporary looking wardrobes the room now felt so much brighter and bigger and triggered ideas for ordering new accessories – a new chaise lounge, new bedding, lamp shades and cushions. 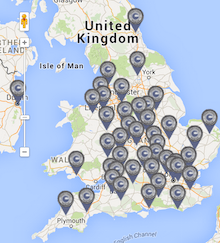 This is just one example of Lee’s projects in and around Yorkshire. These reviews confirm what his clients think of his services. Lee’s website also features more case studies and ideas for painting fitted wardrobes, standalone furniture, kitchen cabinets and faux architectural features.